Well, this is one game that I never owned in the 80s, but I did have the misfortune of playing it at a friend's house. After watching this video you will see exactly why this was one of the worst video game ever made. Back in the day, all I can remember is being completely baffled by what my friend was trying to achieve in the game. However, I don't believe it is the worst game ever made, and I have seen a lot worse than this during my four decades of playing video games. 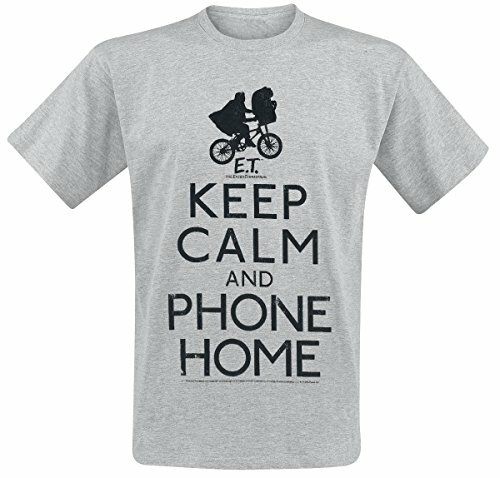 The idea of the game was supposed to involve collecting three pieces of an interplanetary telephone so that the loveable alien could, of course, phone home. I remember that the pieces were scattered randomly throughout various pits, and this is where the nightmare began! Knowing just where you were (and where you were going to) became a torturous process. To say that the game was ill-conceived is an understatement. Everything from the graphics to the plot was downright awful. 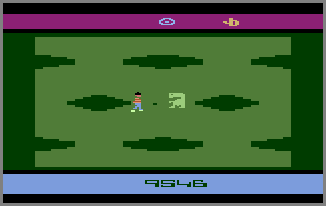 Having said that, the graphics on the Atari 2600 were never its strong point, and it was the playability and addictive nature of the games that made the console popular. This is exactly the reason why gamers were not going to accept a virtually unplayable game. They were used to poor graphics, but lousy game play was a cardinal sin! 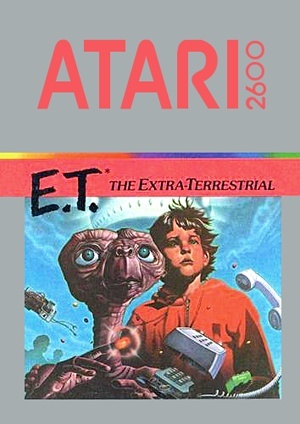 During 1982, after releasing the dreadful version of Pac-Man on its 2600 console, Atari then released possibly the worst video game ever - E.T. The Extra-Terrestrial. The rush to release the game in time for Christmas left the game's designer Howard Scott Warshaw with just 5 weeks (from July 27th to September 1st) to create something half decent. 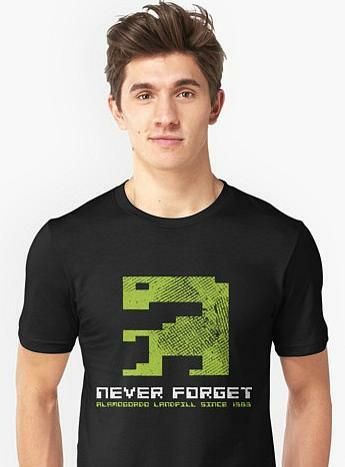 I guess, he did his best to create something in the short time frame, but it was always going to be a disaster and Atari never really recovered from two incredible blunders during 1982. Despite changing hands many times, Atari was sold to the Hasbro toy company for just $5 million in 1998, less than a fifth of what Warner Communications had paid 22 years earlier! 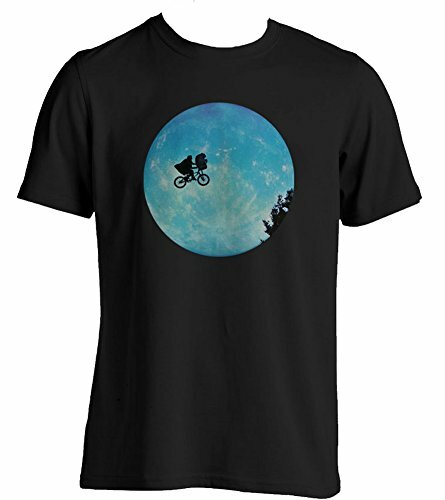 Is that ET's hand or is he just pleased to see him? 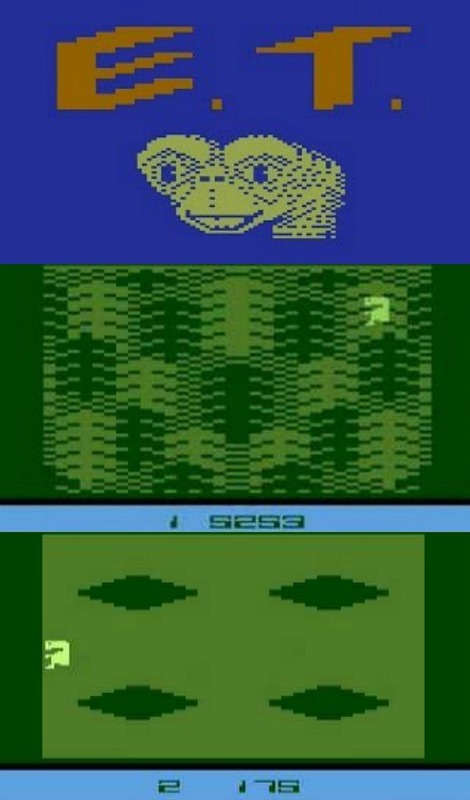 Three more screenshots from E.T. You just know a game is dire when you find yourself revisiting the title screen and the inlay card to get you excited! Custer's Revenge - is this worse than ET?